Music, games, snacks, drinks, and the CrossFit Flyover Podium! Please park at either Waukee Middle School or Waukee High School! These can be accessed from Warrior Ln or Ashworth Rd, respectively. Park Rd will be blocked to traffic during the event! 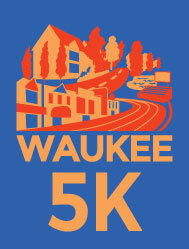 As the headlining event of the day on a USATF Certified Course, the Waukee Ten will take runners on the most scenic tour of Waukee showcasing growing neighborhoods, rolling back roads, serene trail, the historic Triangle, and the triumphant finish on the purple track of Waukee Stadium. 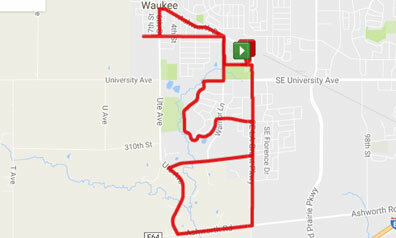 When this page loaded, the official time was 5:02:27 PM EDT.